Trillions of dollars were spent, lent, pledged, guaranteed, or otherwise used in an all-out effort to prevent a second Great Depression. The value of a stronger regulatory system for the financial industry is huge in terms of sparing both monetary losses and human suffering. By 2018, the U.S. national debt will increase by $8 trillion — or about 53% of U.S. GDP in 2011 — as a result of the financial crisis. With an annual budget deficit of $1.2 trillion, the U.S. Treasury will have fewer fiscal tools at its disposal with which to manage another financial crisis. The attempts by finance industry lobbyists notwithstanding, it cannot be legitimately denied that the value of a stronger and more comprehensive regulatory system is huge. The benefits include sparing our economies and societies the devastating consequences that another financial collapse and economic crisis would bring, in the form of both monetary losses and human suffering. No matter how you count it, trillions of U.S. taxpayer and government dollars were spent, lent, pledged, guaranteed, or otherwise used in an all-out effort to stop the financial collapse and prevent a second Great Depression. 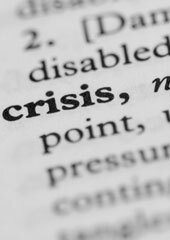 While it is impossible at this point to quantify all of the costs and consequences of the still-unfolding economic crisis, a reasonable starting point for determining the cost of a future crisis is the cost of the recent financial collapse and ongoing economic crisis. Moreover, the actual costs of another crisis are almost certain to be far greater than what we have incurred since 2007. This is due to the fact that our fiscal and monetary capacities to institute remedial measures and to absorb the costs of a future crisis have now become so depleted. Also, some of the key actions taken last time to stop the collapse are no longer available because the law was changed to prohibit them. And, maybe most frightening, luck played an important part in stopping the crisis last time — luck may not strike twice and save us next time. In the United States, the annual budget deficit now exceeds $1.2 trillion. Given that, the U.S. Treasury will have far fewer fiscal tools at its disposal with which to manage another financial crisis. Worse, the current vulnerability will persist for years to come, until something approximating a full recovery has been achieved — and no one is expecting that for a very long time. On top of that, the Federal Reserve Bank has used virtually all its available monetary tools to combat the crisis and now has a balance sheet of more than $2.5 trillion (equal to about 18% of total U.S. GDP). As a practical matter, the Fed’s ability to keep printing money and buying assets is at or reaching its limit. Gross domestic product (“GDP”) has fallen dramatically and it is not expected to return to normal levels until at least 2018. At that time, the cumulative shortfall in GDP relative to potential GDP is expected to reach $5.7 trillion. The unemployment rate skyrocketed to 10.1% in October of 2009, representing 15.4 million workers, many of whom have become members of the permanently unemployed. Government expenditures — including corporate bailouts, special lending facilities, unemployment benefits and the economic stimulus package — are well in excess of a trillion dollars. The value of the government’s total commitment of support, provided through some 50 separate programs, is estimated at $23.7 trillion — or 157% of U.S. GDP in 2011. By 2018, the U.S. national debt will increase by $8 trillion — or 53% of U.S. GDP in 2011 — due to the combined effects of government expenditures and reduced revenues as a result of the financial crisis. In just 18 months, from October 2007 to March 2009, the stock market fell by more than 50%, representing $11 trillion in evaporated wealth — or 73% of U.S. GDP in 2011. From 2007 to 2010, median family income fell 7.7%, from $49,600 to $45,800. Median household net worth fell by 38.8%, which totals more than $7 trillion, a reduction to levels not seen since the early 1990s. Home values have declined 33% since the crisis began, representing $7 trillion in lost value — or 46% of U.S. GDP in 2011. Over 11 million homeowners own homes worth less than their mortgages. That is about 22.8% of all residential properties with a mortgage. A total of at least 3.6 million homes — and by some accounts five million — have been lost to foreclosure since the crisis began, with millions of additional foreclosures to come. The number of families falling below the poverty line has climbed steadily since 2007, rising from 12.5% to 15.1%, representing over 46 million individuals deemed poor. The human anguish caused by the financial crisis has been enormous and incalculable. It encompasses all of the psychological and physical health effects that come with unemployment, poverty, homelessness, delayed retirements, abandoned college educations, increased crime rates and lost health care. Maybe worst of all, the faith of the American people in the “American Dream” — where the United States is the land of opportunity, everyone gets a fair shot, and the next generation will have it better than the last — is dropping at an alarming rate. This could undermine the spirit of our country. Thus, by any measure, partial or complete, it cannot be denied that the financial collapse and ensuing economic crisis has cost the United States an astounding amount of money that will amount to tens of trillions of dollars.